Montreal is an exquisite mix of French and Canadian cultures. It combines old and new, with historic churches contrasting with modern skyscrapers. Montreal has a distinctive European style about it with its cobbled streets, boutique shops and French flavour. It may not be the capital of Canada, but it is the capital of the French community. There’s the charismatic Old Town which is conveniently set on the waterfront. The city has more built up commercial areas with over 2000 shops to enjoy. Canada’s second largest city has a reputation for being a lively party destination, but the city also has an appreciation for arts and culture. There are plenty of art galleries, museums, festivals and cultural events to take advantage of. The locals are very welcoming and definitely know how to throw a good party. You won’t be disappointed with the restaurant scene either, as there are many restaurants serving globally inspired cuisine as well as traditional French food. 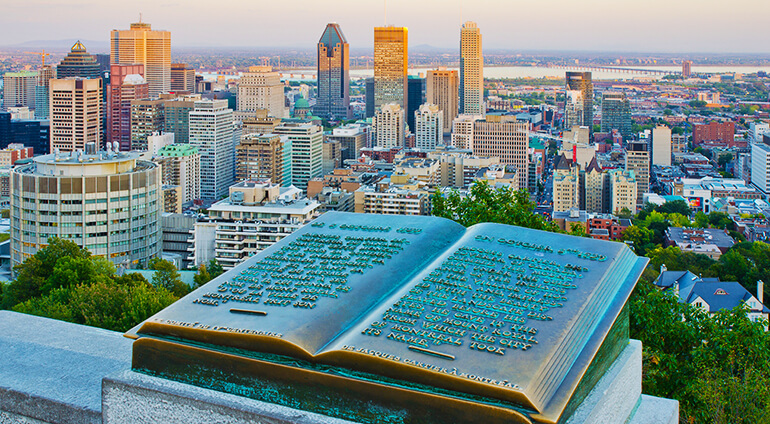 Visit this old world city with a modern twist and discover everything Montreal has to offer.